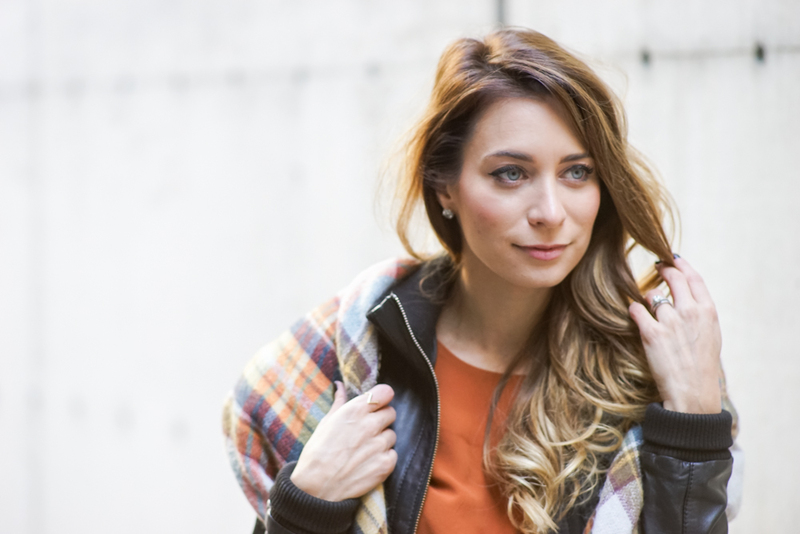 OOTD - Burnt Orange for Fall | La Petite Noob | A Toronto-Based Fashion and Lifestyle Blog. I'm so happy that I've been getting just as must use out of my plaid blanket scarves from Zara this year than I did last. These babies are so ridiculously warm, that wearing one allows you to get away with a leather jacket in the frigid weather. Call me a scarf hoarder, but I just can't seem to get rid of the itch to add to my collection. How are you feeling about the dropping temperatures? As you trying to hold onto fall as long as possible like me, or are you welcoming winter with open arms? Think I'm crazy for wearing bare legs in 0 degrees celsius weather? Let me know! These photos are stunning! You look flawless. And yes- I'm holding on to any ounce of warmth! I'm not ready for winter! Thanks Gabriella! Thankfully the weather has warmed up slightly - bare legs for a little bit longer! 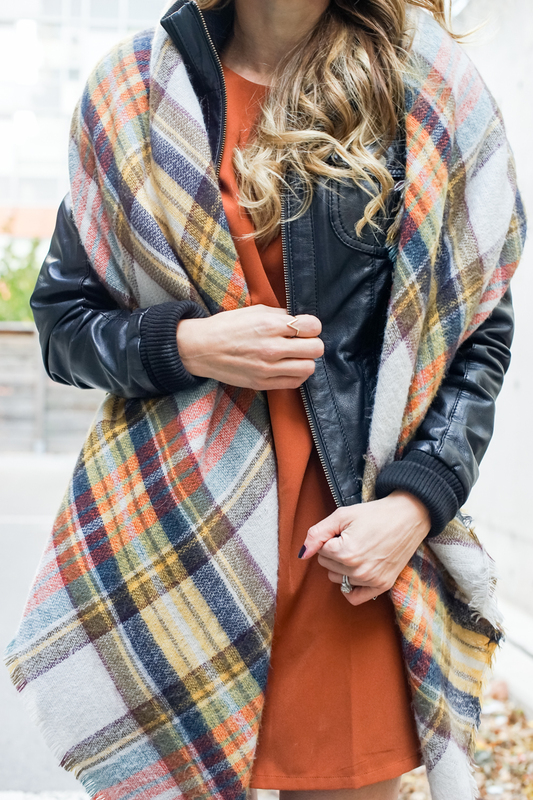 Ohhh, a burnt orange coat sounds absolutely amazing! What a great way to battle the sea of black and grey coats that winter brings along! What a pretty lady!! I love that dress on you. My friend, view here https://besttrackingapps.com/phonesheriff/ best articles on how to become a great monitoring software user.